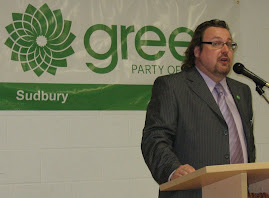 Sudbury Steve May: W-54: Time to Line Up and Shift into Gear. The Writ Drops in 54 Days. W-54: Time to Line Up and Shift into Gear. The Writ Drops in 54 Days. I started writing this blog as a response to a comment made by Daryl Vernon to a post from Matthew Day on another thread, but given that I seem to have meandered away from the topic of that thread, I’ve decided to post this as a new blog post of my own. To read Daryl’s original comment, please go here: "deserve it"
Daryl, I don’t think that Matthew was advocating for a "180 degree" change...I think that he was only pointing out that unless the GPC was ready to make that kind of radical change, targeting a Conservative stronghold would not achieve the result of having our Leader elected. I’m not going to offer an opinion on whether I agree with that assessment or not, as I’m still in the process of formulating it, but I wanted to point out that I don’t believe Matthew is calling for that king of change at this point, given the limited amount of time we have to make the change. With regards to the GPC being poised on a cliff top, at risk of falling into the abyss should, in the coming election, we fail to elect anybody, I have this to offer. I believe that we are clearly at risk, and that, unless planning for the next election quickly shifts into high gear now, the damage will be irreversible. Indeed, I fear that fundamental damage was already done to our Party during the last election. Consider for a moment what might happen in a fall election. Without any sitting MP’s, and after having failed at electing anyone just over a year ago, will the media consortium in charge of the Leader’s debate allow Elizabeth May to participate in a televised debate? I hope I’m wrong about this, but really, I can’t see it happening. The only thing we have going for us right now is that we’ve achieved over 2% of the popular vote, which takes us out of "fringe party" status in the eyes of some, but not many. With just over 6% of the popular vote in the last election after polling in the 10% range, does it remain a fair question for Canadians and our media to wonder if we’re a serious party or not? If Elizabeth isn’t in the debates, look for our popular vote percentage to fall back to around the 5% mark. Why? Well, the media is already making this next election into a contest between only Harper and Ignatieff. With a new Liberal Leader, all eyes will be on Ignatieff, and the media will spend an incredible amount of time and energy in determining whether or not he’s up to the job. Harper, too, will command the media’s attention in a different way, with the media asking (and answering) the question, is it time for him to go? This clash between Conservatives and Liberals will be the theme of the election. All other stories will be just snippets in support of the main theme. Sure, the media might pretend it’s about the economy, or about EI, but in reality and in their coverage, it will be about Harper vs. Ignatieff. None of the above, I should say, applies to Quebec, which has a completely different dynamic. So, we’re in trouble, as is the NDP. The NDP, at least, is aware of this situation, and are trying to do something about it by floating the idea of changing their name, looking for ways to "renew" their Party in the eyes of the media, and maybe in the voter’s eyes too. Aside from dumping their Leader (which they will do after this election), how else will the NDP muscle their way onto the Harper/Ignatieff stage in the next election? At least the NDP can count on continuing to elect MP’s in certain ridings, but look for their overall riding count to drop in the next election, as they are vulnerable to a resurgent Liberal Party in some of the new ridings they have claimed (in Northern Ontario, for example, look for the Liberals to take back many of the seats they lost here; the Liberals have already committed to holding their end of summer MP/Senate retreat here in Sudbury...coincidence? I think not. The Liberals will be targeting Sudbury and other Northern ridings for gain from the NDP...and the NDP will be doing all that they can to hold onto these beach-heads. It’s going to be a Red/Orange war on the ground here when the writ is dropped). Without Elizabeth May in the debates, and without much in the way of national media coverage, and with diminishing local media coverage as a result of media-convergence, our voice is going to be a very difficult one to have heard by voters. Unless we have a coherent and focussed campaign, one in which our limited and quieted voices are all shouting the same easily-understood message, in the same key, we’re not going to have a chance. Co-ordination between the Leader’s campaign and all of the smaller campaigns, especially those in our top ridings, will be paramount. If we go into the next election in the same way we went into the last one, we can expect similar results...but not the same. At least in the last election, the Green Party was perceived as somewhat new, untested, with a Leader that people wanted to know more about. And so the media devoted some coverage to our Party, and Elizabeth May’s name was shouted across the country when she was excluded from the debate. Going into the next election, we will not have those advantages. The Green Party will be that party that failed in the last election. The media won’t bother wasting as much time with a failed Party out their on the fringes of common sense, especially when a more compelling narrative exists: Harper v. Ignatieff. As a result, voters will tune us out, especially if our messaging is off-key. If we spend too much time issuing press releases and discussing our Health Care policies, or our stance on Afghanistan, we will be in trouble, because frankly, we’re not going to grab much in the way of media attention on those issues. We will need to stick to our core themes: 1) The Environment (especially with Copenhagen around the corner) 2) Democratic renewal (which has an off-shoot: electing our Leader to Parliament). We will need to continue to cultivate our core voters with the range of issues they will expect us to discuss: legalized marijuana, safe food and product labelling, peace, carbon tax, and nothing nuclear. But the more we drift in the media away from the those top two issues, the more diffuse our voice will be, and we’re already going to be challenged to receive coverage anyway. Some may say that we can counter this loss of mainstream-media attention through alternative media, especially amongst younger voters. To only a very small degree would I agree. Mainstream media continues to dominate when it comes to shaping the attitudes of the electorate. If CTV and CBC say that this election is about Harper and Ignatieff, than that’s what it will be about, in the same way that they said that the last election was about "nothing", until part-way through when they declared it was about the economy. So, what about falling off of that cliff? Now, it’s true, with my assessment, I’m making some assumptions in my model here: I’m assuming that Elizabeth May is going to be shut out of the debates, and in the model I’m discussing, our popular vote percentage decreases for all of the reasons I’ve mentioned above. Where does that leave the Party? Surely, our Leader will have to go, after failing in two elections to have even herself elected. So, she’ll be gone, and more than likely much of the infrastructure she’s put into place will also get the boot, so we’ll be into a bit of a rebuilding phase for a while. We’ll also see our revenues cut, with fewer votes generating money. And, likely we’ll be carrying debt, as we’ll have had to pour money into this election...because there isn’t any choice here. With a new leader, whether or not she or he is dynamic to Greens, there’s very little chance that they’re going to have the national profile of our existing leader. No offence to anyone who is thinking about stepping up should this scenario play itself out, but I don’t think that there are other stars in our Party who had the kind of pre-Leadership media presence that Elizabeth May had when she became our leader. And without that kind of presence, where will the Party be? In economic difficulty, on the decline with voters, with an untried leader no one has heard about...all the while the other Parties take bits and pieces of our ideas, and tell the media that they’re doing good work on the environment and other issues important to Canadians. Whether or not they are will be meaningless, only that they are seen to be doing good. And, given that the next election will likely produce a minority government situation, we’ll have little time to regroup and regenerate before we’re into another election; maybe 2 years if we’re lucky. Better for us as a Party would be a majority Conservative government, which could truly screw up the country even further given four years to implement their own Agenda. Although I think most of us would cringe at that prospect. Either way, we Greens face the prospect of withering on the vine. Already, our credibility has taken a big hit with the media, and with voters, if recent polls are to be believed. We haven’t used this time to find an issue or two which resonates with Canadian voters. Instead, we’ve been doing a lot of navel gazing. We pinned our hopes that the Democratic Renewal issue would bring us to the forefront, with E. May’s book and with STV in BC at the polls in May. It might have worked, had STV passed. That would have been our issue to own this summer in the media. Instead, there have been only passing blips about election reform. No resonance there. Admittedly, any message from Greens would have been hard to find resonance with voters, given our failure to breakthrough into the big leagues in the last election. No MP’s really hurt our credibility and our image. If we do the same again, Greens, it’ll be all over except for the dying. Right now, having squandered this past year to infighting when we should have been getting our message out and building our local infrastructure, it is absolutely critical that we pick ourselves up by our bootstraps and start the campaign. Right now. But...we’re not quite ready yet, are we? Look, it’s no secret that we are expecting the writ to drop on Sunday, October 4th, after the Liberals and NDP have defeated the government on a September 28th confidence vote. We’ve heard about a Campaign Plan, and seen the priorities, but there haven’t been any details about how to get there. For example, we’ve heard that there will be more focussed messaging, but we’ve not seen what it will be, nor have many of us been tapped on the shoulder to provide input. We’ve heard that we’re going to have a slogan, but we’ve not seen it. We’ve been invited to donate money to help Elizabeth May get elected, but we still don’t know where she’s going to run. We’ve not heard anything about a media strategy. We’ve not seen any materials for candidates to assist them in answering questions from voters and local media. And it’s now the middle of August. This time out, it’s imperative that our voices be as one. Our federal campaign clearly has to take the lead, and not just because their the ones with most of the resources. Electing our Leader is an identified priority, and I should add a priority which I clearly support. Elizabeth May is going to get the lion’s share of Green coverage in the next election. She’s the leader. She and her people have got to lead the charge here, and the other candidates around the country need to fall in line and speak with her, as one body politic. And where are those candidates? Rules from the Campaign Committee came out in March of this year, and EDA’s were to have candidates in place by June. Whether or not we agreed with the rules, or with the specific timing (and we here in Sudbury agreed with neither), it is incumbent upon EDA’s to be prepared for an election. Yet we have only a hand-full of candidates in place! Why on earth have we allowed this to happen? Yes, we EDA’s might disagree with the way in which things were handled by the Federal Party here, but their goal was a sensible one: have candidates in place so that the summertime could be used to promote those candidates locally. Instead, we focussed on the disagreements. And many believed, and continue to believe, that it doesn’t matter, that maybe this isn’t the time for our Party anyway, so we’ll show up and fight the good fight, but perhaps we’ll make it better if we change direction, get a new Leader, devote more money to staff resources to build EDA’s, and then maybe next time out we’ll do better, or the time after that. Problem is, there won’t be a next time. Like it or not, our time is Now. Look, I’m all for more resources to build EDA’s, and I think we need some renewal within the Party. I’m certainly unimpressed with a lot which has gone on in the past year, and I’m an advocate for changing that. But I also know that we either put aside our differences and fight the next election with the direction we’ve committed to, or it’s all over. Whether you’re like me and are unhappy with things, or whether you’re like others who are completely ticked-off with the direction of the Party elite, it doesn’t matter. We have to pull together, or this ship will sink. I know others don’t share my assessment. Others believe that the Party is strong enough to survive another shut-out. Many of those others believe that we will at least increase our popular vote in this next election, even if we don’t elect anyone. Others believe that our popular vote will increase over time, as young voters (who tend to be supportive of Green policies) mature and start showing up at polling stations in greater numbers. I don’t share that level of optimism, because a withering Party will be written off by the electorate. In a situation of decline, the centre will not hold, and things will break down, pieces will break off. Our good policies will be taken by the other Parties, looking for a strategic edge over each other (not primarily because they make sense). Our members will abandon us because we’re not achieving results. The media will ignore us, unless it’s to report on our in-fighting (but even that’s not a sure thing...look at the lack of national coverage the collapse of the Alberta Greens generated). Whether you disagree with my assessment or not, Greens, I urge you to line up behind the National Campaign. If you don’t agree with me, and If I’m wrong, well, the worst outcome would be that by speaking with one voice, we’ll increase our chances of winning. Campaign Committee: I hope you’re hearing the voices of dissatisfaction out here across Canada. You’ve got to get things together now. Right now. We on the ground need more out of you. Your silence is causing considerable concern. Just look at these discussions we’ve been having here. Multiply that by one hundred, for every electoral district association meeting where we scratch our heads and wonder aloud what direction we’ll be going in this fall. Elizabeth May: I’m a fan of yours, and I have an incredible amount of respect for your intellect and your energy. Please, it’s time to make that hard choice. Choose a riding, and kick things into high gear. Ensure that our message will be focussed on our strengths. Understand that our voice is going to be limited in the upcoming election, an that we have to speak as one locally and nationally. EDA’s: Get your candidates nominated. Start the ball rolling locally with letters to the editor, showing up at events, etc. Do all the good things that you know that you need to do, and ask for help when and where you need it. And not just from your Organizer. Call up the CEO of a neighbouring organization, or write to one of the bloggers here who seem to have an idea or two. Cross-communicate. Greens: Show support to local candidates by showing up at events. Stay involved with local organizations that share our values. Get active in promoting an event in your area for World Environment Day on October 24th. The key people in your local Association are getting burnt out already, and an election hasn’t even been called yet. Step up and fill in a niche locally, even if it’s not with the EDA. Make connections in your community. Get involved with something that’s important. It’s W-54 (54 days until the Writ is dropped). We have to gear up now, or the Party really will be over on E-Day.